How can businesses survive in a world of unrest? Surging numbers of refugees fleeing to Europe. High levels of youth unemployment in many advanced countries. Populist movements pressing for regime change. Online activist campaigns endorsed by millions of supporters. Labour disputes, independence movements, backing for extremist political parties, terrorist strikes, cyber attacks. The list goes on. 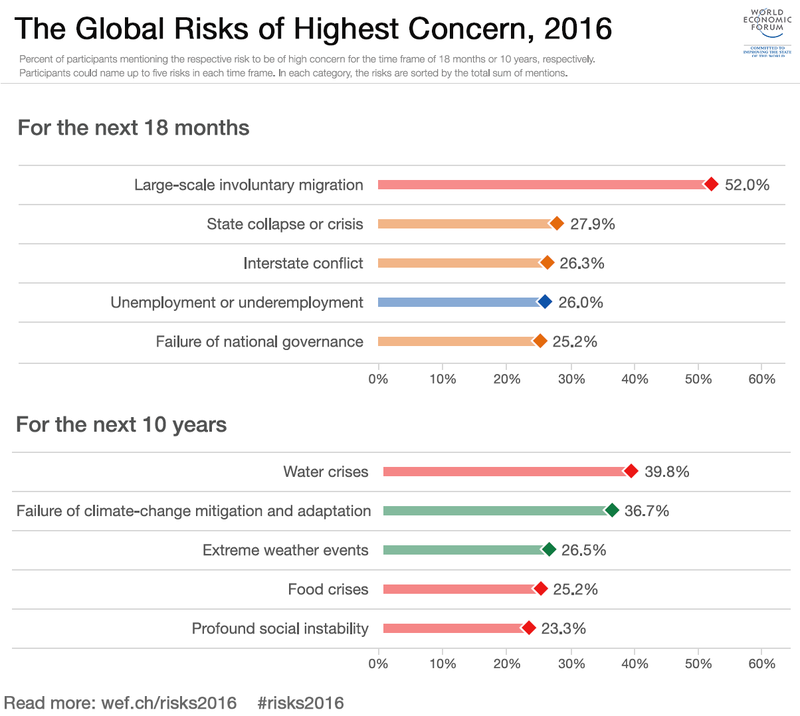 Social and political instability are arguably at their highest level since the end of the Cold War. What we’re seeing now may not just be a passing phase of higher volatility. Structural issues are also at work. Resentment at a deepening income inequality is on the rise in many countries. In the coming years, this may be exacerbated by a growing proportion of retirees with insufficient resources for their old age and an increasing loss of jobs to the automation of workplace activity. The failure to properly integrate refugees into host countries will create a time bomb for the future. This creates a very challenging context for business. At a macro level, rising friction can act as a general drag on economic activity, at a time when positive impetus is sorely needed. 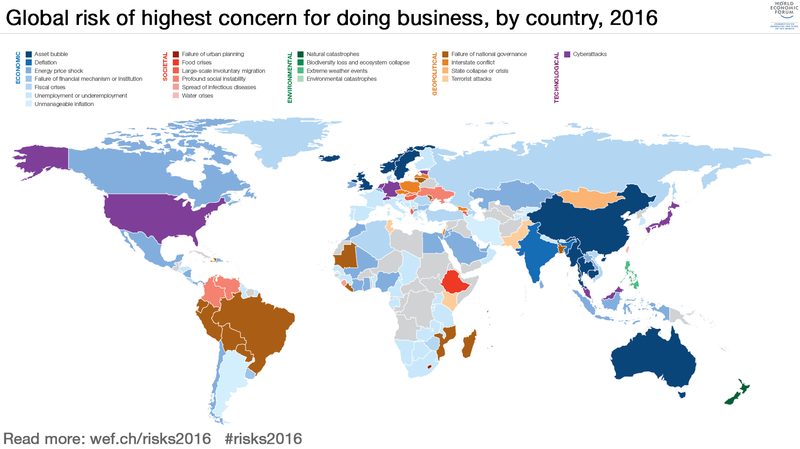 The threat of business disruption is also higher, undermining the ability of international businesses to operate in certain countries or substantially changing the terms of business. Activist-driven volatility can influence political decisions by fragile governments, provide a frame of reference for workforce disputes, and intensify disagreements between companies and local communities. Popular frustration with leaders is widespread and levels of trust uncomfortably low. In some countries, the prevailing view is that government is weak and too cozy with big business; elsewhere, trust has been eroded by the exposure of scandals and corruption. People expect more from governments and businesses, and advances in information and communication technology are providing opportunities for them to express transnational “tribal” sympathies that can stimulate collective action – for better or worse. In this climate of growing unrest and more rapid communication, individual businesses can more easily get caught on the wrong side of a volatile social, political, or environmental issue – and face the risk of product boycotts, cyber attacks, employee departures and lasting brand damage. Customer expectations of the companies they interact with can quickly change. Similar shifts in sentiment can take place with employees, shareholders, and other stakeholders. What can businesses do to remain resilient in this challenging environment? The construction of plausible developments and worst-case scenarios, in which various types of unrest are either the source of a crisis or an amplifier, provides a platform for gauging which assets are at risk and the scale of the potential damage. The best scenario planning involves thinking creatively about second- and third-order consequences – likely government responses and cross-border impacts, for example. Companies can then stress-test their supply chains and investment decisions, and evaluate changes to their strategy that would help diversify their exposure to disruptive events within and across countries. Firms should also ask themselves whether they are doing enough to protect and manage their reputation, which is even more vital in this type of environment. Leaders need to keep their finger on the pulse of both internal and external sources of instability so that emerging issues can be addressed rapidly and constructively before they cause lasting damage. Becoming more attuned to social and political conversations will also help firms assess where they might deepen engagement – with customers, employees, and policymakers – to help mitigate potential threats in advance. Of course, a more volatile environment will also create opportunities in the form of new patterns of demand and new customer allegiances. Staying power is critical, and companies that are adept at building the skills to manage through a global context of continuous stress and unrest will be better placed to grab market share from competitors that address the same challenges less successfully.